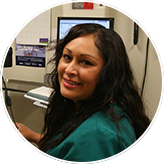 Eastern Plumas Health Care may be small but we provide crucial services to our community. 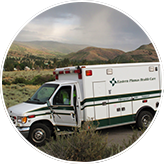 We are a non-profit, critical access hospital district, providing comprehensive medical services to Plumas County for over 45 years. 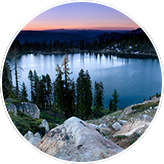 We are the only hospital and clinic within a 30 mile radius serving over 10,000 residents living throughout Plumas and Sierra Counties. If making a difference in the lives of patients is important to you, you will love working at EPHC. Eastern Plumas Health Care runs a 24-hour physician staffed emergency room, ACLS ambulance service,four medical clinics, two dental clinics, two skilled nursing facilities, an acute care hospital, and a robust telemedicine program with a large range of specialist services. At EPHC we trust that quality health care is built on a foundation of collaborative and supportive relationships in the work environment. We are looking for like-minded people to join us today! Practice medicine in a rural health care setting of Eastern Plumas Health Care District. Our nurses are the heart of our organization, they are always committed to the care of the patients. Explore our nursing positions and learn more about how to become an EPHC nurse! Our 24-hour Ambulance service provides our community with critical transportation when emergencies arise. We hire EMTs and Paramedics and even offer “ride-along” opportunities to individuals working towards certification. While our front line patient-care staff are critical to operations, the strong support departments offer a variety of career opportunities. We perform all aspects of the revenue-cycle in-house, from medical coding, to billing and claims processing. In addition we have registration and clerical positions throughout the organization. At EPHC we understand how difficult and important it is to keep our facilities safe and sanitary. We appreciate our Environmental Services department for their dedicated efforts. Even the State of California licensing inspectors commented on the cleanliness of our facilities. If you want to get your foot in the door, Environmental Services is a popular place to start! 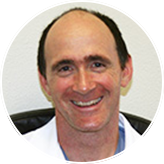 Your personal job satisfaction is paramount and at Eastern Plumas Health Care we offer flexible schedules allowing you to spend time with your family and friends. The quality of life you will not find anywhere else. We celebrate you, and we celebrate by recognizing service anniversaries, an annual party during the holiday season, and host an employee appreciation cookout every year. We appreciate you and the hard work you do everyday. We offer a unique sense of community in a safe, family friendly environment. 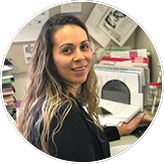 Eastern Plumas Health Care strives to develop collaborative relationships with outside organizations, such as the local schools, the community college, and the City of Portola. 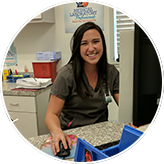 If you are considering working in a small and rural community, Eastern Plumas Health Care offers you a gratifying yet challenging career. We are focused on helping and supporting you to grow your career while we prepare you with opportunities to advance. We truly believe that quality health care is built on quality relationships in our workplace. We strongly encourage like minded people to join us!